Hotel Torre Saracena is pleased to welcome you to Praiano, in Italy, on the Amalfi Coast. Praiano is a typical town of the Amalfi Coast, probably of Greek origins. It is well-known for its wonderful sunrise and sunsets. 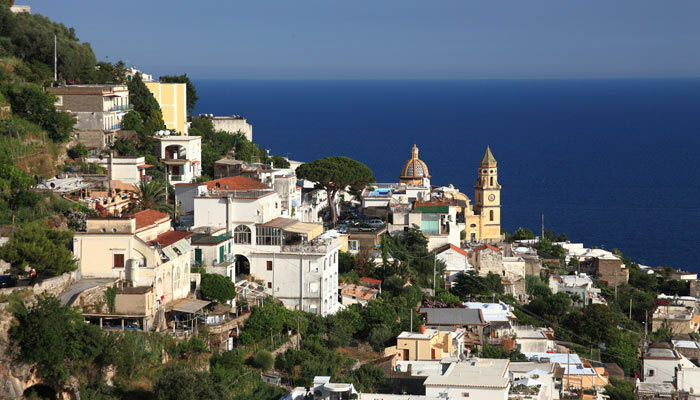 Praiano was an ancient fishing village and preserves its history and traditions. The Hotel Torre Saracena overlooks on one of the tower along the Amalfi Coast, called Torre a Mare or Torre del Capo. It was a built in the middle age to defend the village from the incursions of the pirates. To explore Praiano you will be scaling steep flights of stairs. The upper part of the village is world-famous for the hiking on the “Path of the Gods”, an ancient route of the Amalfi Maritime Republic that collected the coast from Positano until Agerola. It is an enchanting walk among citrus groves, vineyard, olive groves and the Mediterranean vegetation. Praiano is a lovely Italian town on the Amalfi Coast with the typical white houses, built in lime, to preserve the inside from the summer hot. Christmas cakes: the grown zeppole, the zeppole vullute, the potato zeppole, the cazzabotti and the struffoli. the Luminaria and the celebrations for Saint Domenico. In Praiano, Italy, on the Amalfi Coast, next to the Hotel Torre Saracena there is the beach La Marina di Praia, reachable on foot or by car from the Amalfi state road. the islands of Capri, Ischia and Procida. Italy is an extraordinary country rich of beautiful places to visit like the Amalfi Coast and the romantic Praiano, in the authentic heart of this land. Praiano is the perfect location of the Amalfi Coast where to spend a relaxing holiday in Italian style. 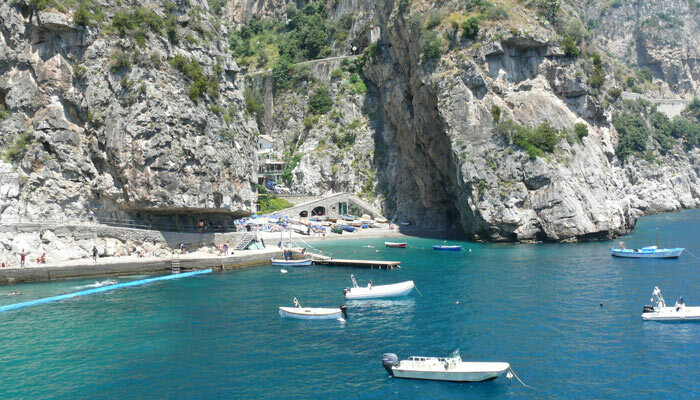 Why choose Praiano, in Italy, to stay during your travel on the Amalfi Coast! 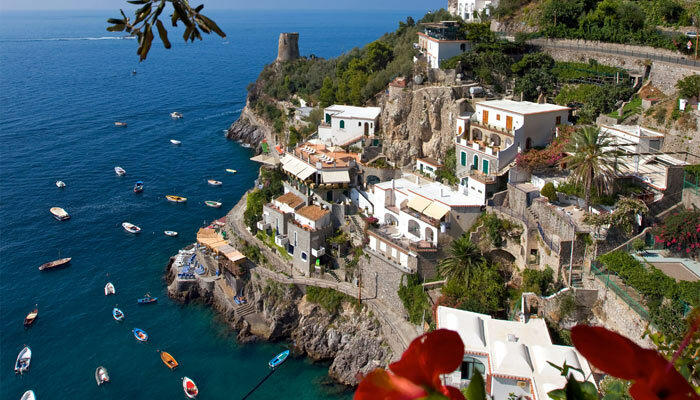 Praiano is a picturesque village between Positano and Conca dei Marini. It was the summer residence of the Amalfi’s Doge at the time of the Amalfi Maritime Republic, considered the ‘heart’ of the Divina Costiera. Praiano’s houses rise at the surfaced base of the Monte Tre Pizzi, extending up to the Marina di Praia beach. This really set into the rock natural landing place was already used at the time of the ancient Pelagianum (old Praiano’s name). The medieval watchtower Torre a Mare watches over it. Dipped into the Macchia Mediterranea’s wildlife, with its suggestive crags right on the sea, Praiano does not only offer pleasant landscape and monumental features, but also excellent tourist and catering services. Something typical in Praiano is its votive aediculae, little sacred images painted on majolica squares or directly on building’s walls, to witness people’s devotion. Hotel Torre Saracena, situated in Praiano, on the Amalfi Coast, Italy, offers comfortable rooms sea-views, parking, affiliated restaurant, bar, solarium, private aces to the sea and other extraordinary services: Contact us now! Thanks to its westerly aspect with a view of Positano, Capri and of the Isola dei Galli, the Cala della Gavitella is the only all-day sunlit beach in the Amalfi Coast. Close to the beach you can see the well-known Fontana dell’Altare, a natural swimming pool dug into the rock. The Grotta dell’Africana and the Grotta di Suppraiano are two very charming natural caves reachable enjoying a boat-trip departing from Marina di Praia beach.